Very good experience. No pressure. Everyone was great as was the test ride. Courteous staff. Very helpful with answering my questions. I will definitely be back to view the new Alfa Romeo Giulia. Awesome dealership with professional and courteous employees! 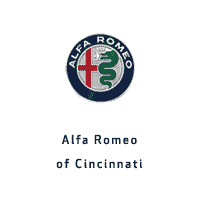 Love working with the team at Alfa Romeo of Cincinnati!